Description Frisco Men volunteers line the walls while patients watch a movie in the Red Cross Auditorium. The Frisco Men’s Club were a great source of help for the patients, pushing gurneys and wheelchairs wherever they need to go. They also held blood drives. 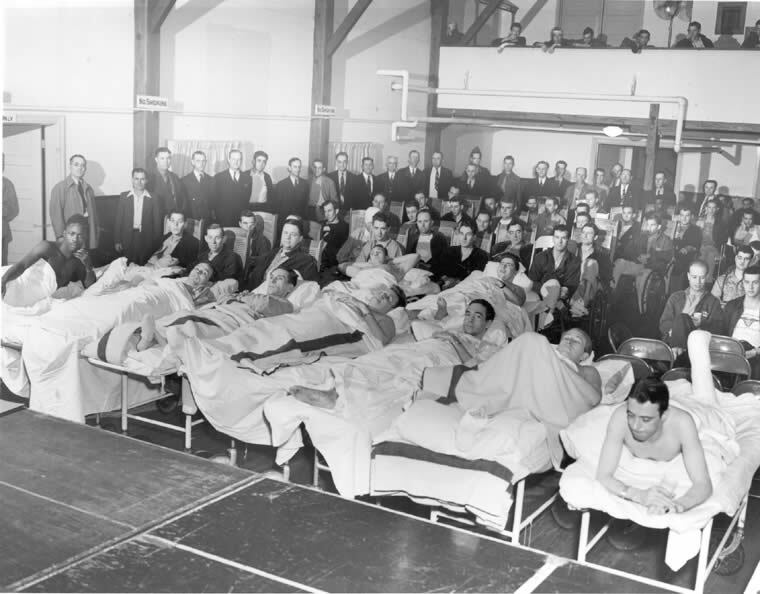 Subject Military hospitals -- Missouri -- Springfield. ;O'Reilly General Army Hospital (Springfield, Mo.). ;Patriotic societies -- United States. ;World War, 1939-1945 -- Hospitals -- Missouri -- Springfield. ;World War, 1939-1945.;World War, 1939-1945 -- Photography.